Lamps ordered will be shipped the next business day by USPS Priority Mail or UPS. Large orders may qualify for a discount and may not qualify for next day shipment. If you do not know what lamp you require or for lamps not listed, email your request or call 336-882-2854. To order, please call 800-692-3051. Some of these bulbs are not purchased directly from the manufacturer. We purchased these bulbs from auctions and businesses that discontinued selling bulbs or went out of business. All are new and most are in original display boxes. Some of the boxes may be ragged or missing, but the lamps are guaranteed new. Most of the lamps are GE or Sylvania brand. 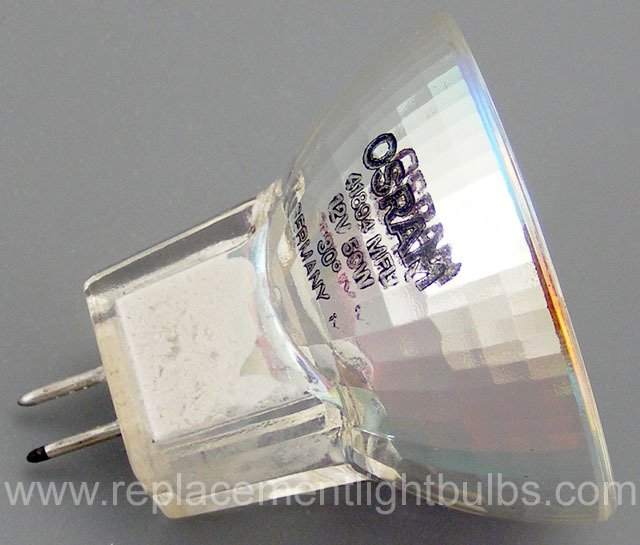 Some of these lamps are other brands like 3M, Apollo, Avigo, Bell & Howell, BIAI, Brooks Equipment Company, CEW, Chicago Miniature, Colortran, Cool-Lux, Crest, Damar, Dukane, Durst, Eiki, Eiko, Eveready, EYE, Filmo, Focus, GOKO, HIT Hoffman, Kaiser, Kalimar, Kando, Kandolite, Ken-Rad, Kondo, Lamco, Lucas, Micro Lamps, Inc., Narva, Norelco, Olson, Olympus, Omega, Orion, Oshino Lamps, Osram, P&B, Pelican Products, Inc., Philips, Ponder & Best, Prism, Radiac, Radiant, Radion, RCA, Riluma, Rival, Sifang, Stanley, Star Headlight & Lantern Company, Sunpak, Sunray Lighting, Tensor, Thorn, TP Hi-Lite, Tungsram, Ushio, Wagner, Westinghouse, Wiko and Wotan. If you have an inventory of new bulbs you no longer need, let me know and I will make you an offer for them. 2.5V .5A 1.25W .5 MSCP C-2R 3000 Hours GE43 Miniature Bayonet Base T3.25 Glass MOL 1.19"